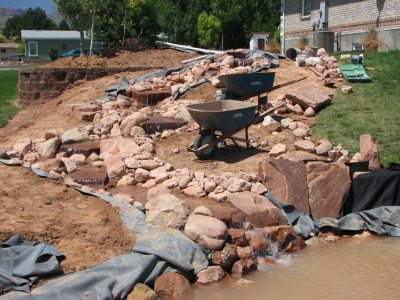 If you have a slope, ideas-for-landscaping-a-hill are essential for erosion control and loss of top soil. As rain comes, your top soil will wash away if you don't provide some means of keeping it in place. Some people like water features placed on their hill. 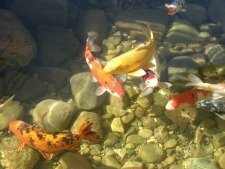 The following example is of a significant hill and the client wanted a waterfall which emptied into a large koi pond below it. I'll show you a step by step process below. 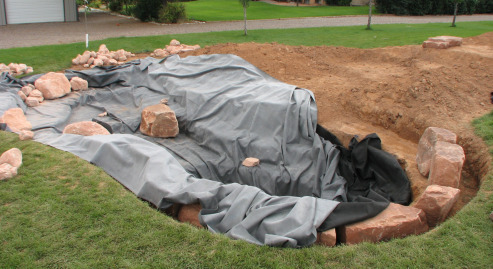 You can see where the pond area has been prepared and is lined with a thick membrane material. 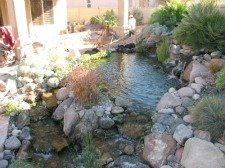 First we prepared the pond area and then structured where the waterfall would be. 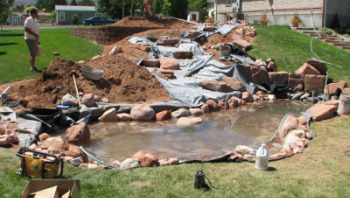 Then, I lined the water path with a membrane that would prevent loss of water due to leakage. 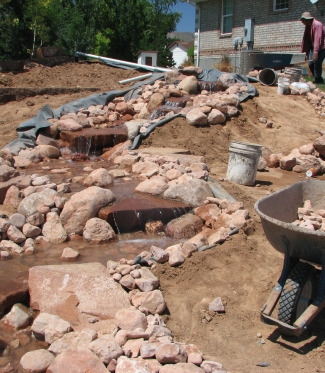 Next I lined the sides of the water fall with every thing from larger boulders to various sized rocks, making the path of the water more definite. 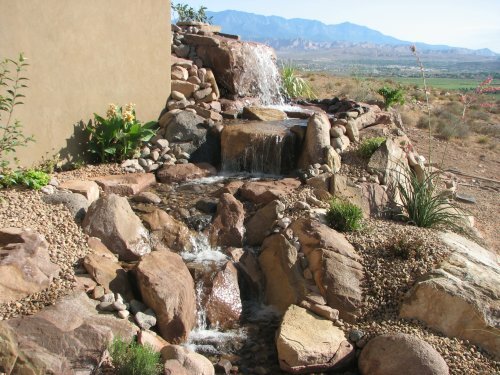 This pix shows more clearly the kind of detail that has to be attended to when putting in a water feature of this type. Notice the slab rock pieces creating the "falls". Attention to detail creates that natural look. This picture shows a "running" working waterfall looking quite natural. I always try to make my waterfalls and streams look "real" or "natural" as it would appear in nature. Your approach to ideas-for-landscaping-a-hill will depend upon how large a slope you are talking about and how much dirt you have to hold "up". For instance, a large hill may require a retaining wall, where a gentle slope may only require ground cover with rocks placed in strategic places. In this picture (above) I wanted to show a retaining wall. It also shows boulders which form a unique water fall cascading down the hill. 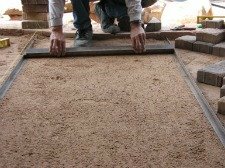 You probably know that top soil costs a lot of money. Free information on this subject is worth it's weight in gold, when you consider what lack of knowledge could cost you. This picture shows how to stair-step down a slope with small terraces. This is created by slab rock pieces stacked brick-style, for several layers which forms the terraces. By terracing the land the top soil will not "run" down the hill in a heavy rain or snow melt. It is essential to hold a hill in place by some form of retainer such as this. The plants that you plant along the terraces will retain the moisture better by the trapped moisture, and your hillside will be forever protected against erosion. 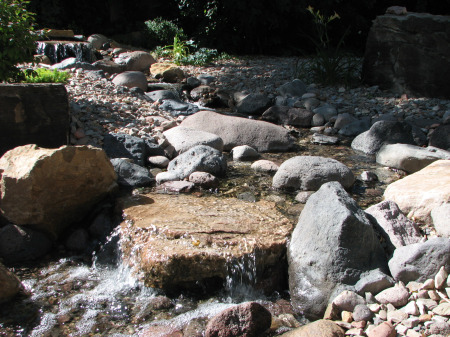 A waterfall was structured into the design by a pondless recyling system. This is an excellent way for Landscaping a Slope.